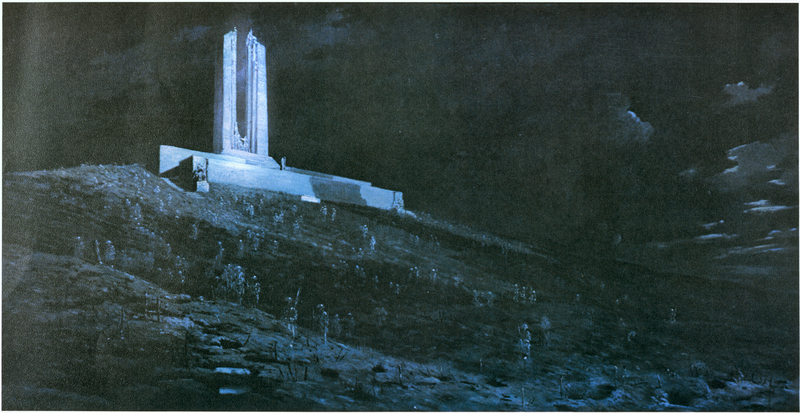 Ghosts of Vimy Ridge, 1931. William Longstaff. 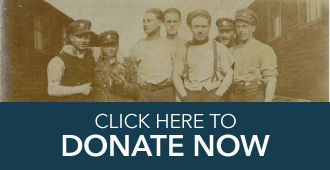 Image courtesy Canadian House of Commons Collection. Since it’s Hallowe’en we’re all a little preoccupied with ghosts right now and the spirit world. Whether or not you believe in ghosts, places like graveyards or abandoned hospitals can still seem scary, like there are others around you that you can’t see. The trenches of the Western Front, and indeed all of the sites of the First World War, were places where thousands of people died and the living found themselves coexisting with the dead, as trenches were dug into older burial sites and artillery shells exposed the bodies buried in the ground almost hourly. The dead were a constant, like the presence of death, and the ghostly landscape of the trenches was a perfect environment for apparitions; a land “in between” as historian Tim Cook calls it that was out of the normal rhythms of life. Cook theorises that the strain of surviving on the Front, the constant bombardments and the seeming randomness of who lived and who died, caused many men to believe that they had seen the dead, or in some cases even been saved by them. Private Will Bird entitled his wartime memoir Ghosts Have Warm Hands in reference to an incident where he was saved from being hit by a shell by an apparition of his brother, missing in 1915, who guided him away from the place where he had been standing guard just before a shell destroyed it. Bird firmly believed in ghosts, many of which appear in his works about the war, and was sure that his life had been saved by his dead brother. Major John MacCrae’s famous poem In Flanders Fields also uses the device of the dead and their existence on the field of battle, throwing the torch “from failing hands” to the living to continue the fight. On the home front as well the dead made an appearance; theosophy and raising spirits were a popular Victorian pastime and with families all over England and the Dominion losing members many of those left behind turned to mediums to try to speak to those they had lost. Robert Graves tells the story, through pseudonyms, of staying the night at his friend Siegfried Sassoon’s house and being disturbed by Sassoon’s mother trying to contact his dead brother Hamo. Lucy Maud Montgomery’s wartime book Rilla of Ingleside also uses apparitions as a way to predict death; Rilla dreams of her brother Walter the night that he is killed at Passchendaele and the family dog won’t stop howling. Ghosts seem to have served many purposes during the war. They were a way for those living in close proximity to corpses and under daily threat themselves to deal with the seemingly randomness of the killing that went on during the war. Ghosts were a way for those grieving their family members to reconnect with those they had lost, and finally, they were a connection to those who were gone. In an area where so many died and so many were never found, it is unsurprising that the Western Front would still make us uneasy. There are too many lives cut short there for the dead to rest easily.